As a child, I learned about thankfulness on a visit to a farm. I was raised in cities and suburbs, and in my mind, the grocery store was the origin of all food. My everyday life was several physical and mental steps removed from the production of what I ate, and I simply did not think about where it all came from. One day, my grandfather took all the kids in the family to the farm that he grew up on. As we toured the land and the house and the barn, his stories animated our imaginations until we could almost see it... Grandpa and his siblings milking cows, threshing wheat, harvesting corn, and shooing the rabbits away from the tomatoes. His description of growing wheat was especially surprising to me. Despite having read the Little Red Hen, I had never really thought about how many steps were involved just to get flour (the most basic of ingredients) to make bread (the most basic of foods). Planting and watering and waiting and tending and harvesting and threshing and hulling and milling and sifting… Grandpa showed us where he did every step. After touring Grandpa’s farm, we went home for lunch, and I could have sworn that the food tasted better. Our grilled cheese sandwiches did not come from the farm – they were probably made with wonder bread and American cheese singles – but I appreciated the food in an entirely new way. I thought of all of the work that went into it, and imagined the people who were involved in every step. I even ate the crust that day. Thankfulness and food are deeply intertwined. From the very beginning of time, people have offered gratitude for meals and celebrated God’s provision around food. The Bible begins in a garden and goes on to recount stories of manna in the desert, Jesus feeding 5,000, and Passover feasts. Slow down enough to think about the stories of the things in front of you. Imagine the long journey of the banana or the book or the toy and give thanks for all of the people and work it took to get it to you. Model gratitude yourself and say out loud when you are thankful for something. Children need to see examples of thankfulness in everyday life. My Grandfather always ate every piece of food on his plate, and this enacted thanksgiving made an impression on me. Have patience. Growing in gratitude takes time and attention. Much like wheat, it will not spring up overnight, and it takes constant tending. My visit to Grandpa’s farm was not a once and for all switch into constant gratitude. It was, however, something my parents could point back to again and again when I was selfish and picky at the dinner table. Remember that God is the source of all that we have to be thankful for. As the ultimate creator and sustainer of life, God’s grace stands at the center of everything. After you imagine stories of the food and things in front of you, say a prayer together and direct your gratitude to God. 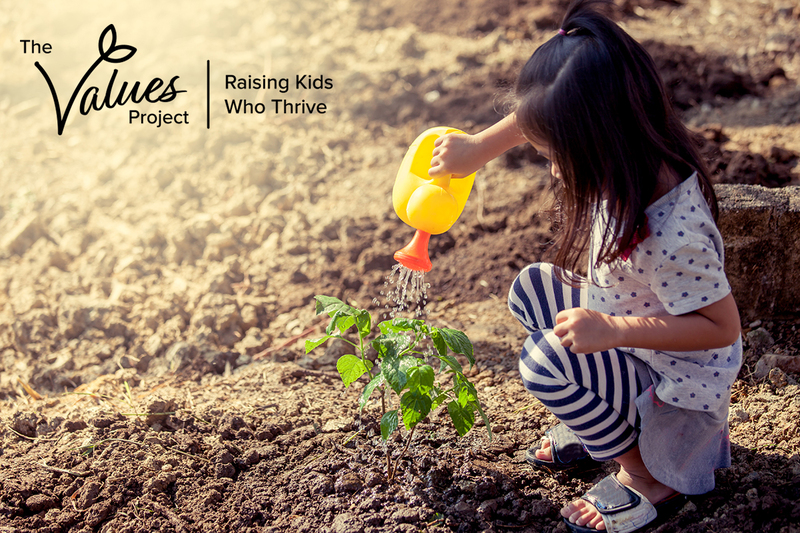 Cultivating thankfulness in children is an intentional commitment, but its harvest is well worth the effort. 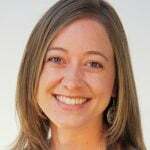 SARAH LOGEMANN is a Masters of Divinity candidate at Princeton Theological Seminary. She has spent the last thirteen years working in congregations in Seattle, Ohio, New Jersey, and New York City engaging children, youth, and young adults in spiritual formation. A former ballerina, Sarah is interested in connecting movement, stories, and faith. She loves wondering, running, and watching the Tour de France.